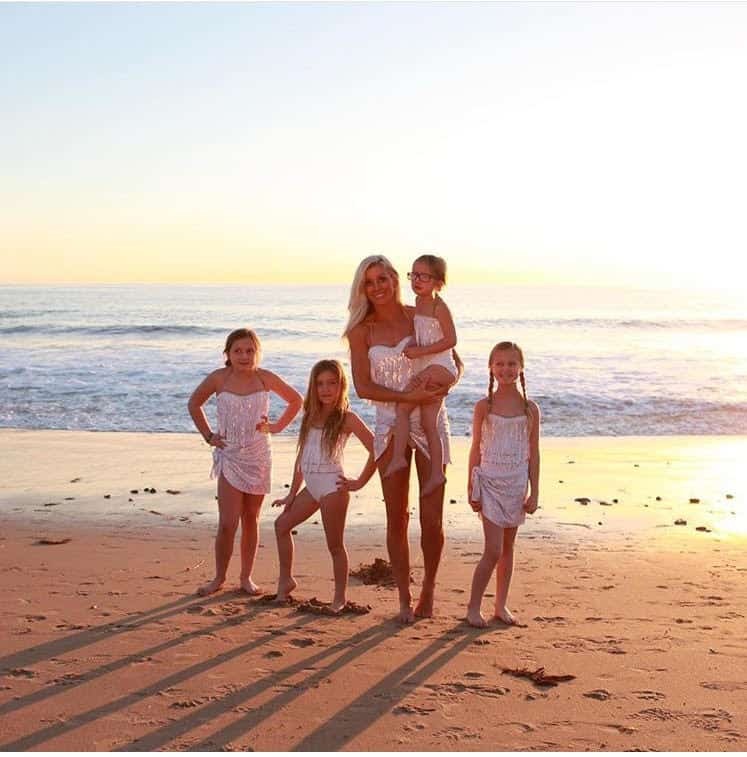 For my Inspiring Moms blog, I had to start with Michelle Shumway of RAD Swim. Michelle is an inspiring woman and mom. 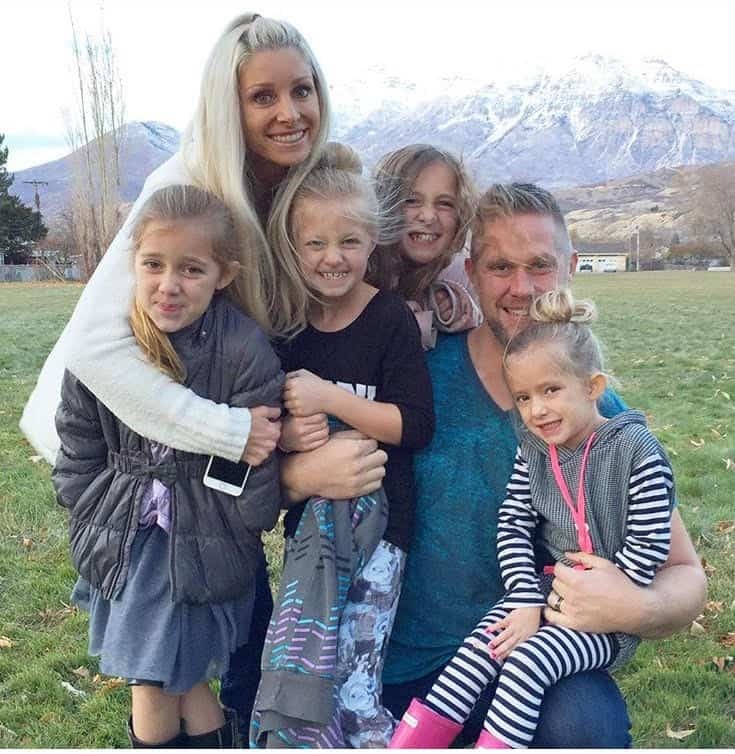 She’s a mom of four beautiful daughters raising them in Utah, where she lives and grew up. She has a super bright light about her that makes everyone want to be her friend. Michelle and I knew each other in college at BYU-Hawaii. I remember her not only being beautiful on the outside but beautiful on the inside. She always seemed so open-hearted and kind. Fifteen years later we got together at her house and let the kids run around while we reconnected. Michelle is the founder of a swimsuit line called RAD Swim. It’s an amazing swimsuit collection for women, teens, and little girls that has more than 100,000 followers on Instagram. It is modest yet stylish and totally on trend. Wearing RAD Swim you’re sure to be asked the question, “Where did you get that suit?” whenever you wear it. I love that Michelle had an idea to create a company and a swimsuit line, but the inspiring part is she did it! How many times do you have ideas or dreams and let doubt or fear get in the way of making it happen? She said, “I never thought I would ever create a swimsuit line, but I did, and I love that I am doing it.” She can remember the exact moment, where she was sitting, and how she felt when she had the idea to create a modest swimsuit line. She felt a sort of empowerment like this was something she was supposed to create. Little did she know at the time that this very endeavor was going to help her heal and give her a purpose at an extremely difficult time in her life. Michelle’s four beautiful daughters all love and help run and design RAD Swim. It’s adorable. What many don’t know is that while she had this strong feeling to create this company, she was also pregnant with another baby. She was beyond thrilled to have any baby, but this time, it was different. After four daughters she was pregnant with a baby boy. She and her husband were beyond thrilled. They had such excitement and hopes for a baby boy, a son to call their own. They were devastated to hear the news that things were not looking good early on in the pregnancy. Every mother’s worst nightmare was becoming a reality for them. Michelle was put on strict bed rest. It was a very tough pregnancy with many complications. Her baby boy was born at 25 weeks, weighing only 1.9 lbs and living for only 11 hours. She was able to hold her tiny baby and see his little hands and feet. She heard his little heartbeat against hers. I can only imagine what that must have been like. What a warrior mom. When she shared that sacred, hard, and intimate story with me, it was hard to hold back the tears. What stood out the most is how she shined and exuded joy and love while talking about her baby boy, who they named Rockwell. When she shared her story she was strong and filled with love. In life when we get beat down and our world comes crashing in, we have a choice to get bitter and angry or find love and peace. There’s no doubt that Michelle now lives in a place of love and peace. A process of grieving is real and completely different for every person. It is a process that takes time, and stages of all the emotions. It takes a different amount of time for everyone. If you’re reading this and in that process, know that it takes time and it’s ok to feel all of the emotions that grief has. The darkness breaks when the choice is made to not stay in the pain, but to live in love. Michelle was able to find that peace and healing in the knowledge that she’ll hold her baby boy again one day. It still helps her every day. Michelle now raises her beautiful daughters and puts her family and husband first before her business. It’s a tricky balance moms know all too well. She loves raising her daughters and having them work with her in this amazing family business. To her, RAD swim is a gift. Her company and its growth have helped her in the hardest time of her life. It gave her purpose in a dark place. We look at others and think wow, they have it all. They are beautiful with a great family and life. Then, you hear their stories and see their trials and what they’ve been through and overcome. It’s a reminder that we all have hard challenges. I’m inspired by Michelle. The smile she shares doesn’t come from not having hardship in her life, but because there has been. Sharing love and kindness to others comes from a place of having been through the darkness and choosing to be happy. I love positive quotes! They speak to me and buoy me up when I need it most. I asked Michelle to share a quote that inspires her. I love how she had an idea felt a strong impression to create something and took the steps to do it. She made the idea, dream, a reality. I love how she is sweet and soft-spoken yet full of energy and drive. It is a powerful and beautiful way to live. I love how she lights up when she talks about her husband and her children. I love how she is so inspiring about her baby boy and all that he blessed her with and how she shares what he taught her. Mostly I’m inspired by how she lives in love, not denying the pain she has had in her life, but choosing to be better from it and able to be a positive light to others. Thank you, Michelle, for being such an inspiring mom and woman. You can find Michelle on Instagram @radswim as well as other social media or on her website RADswim.com. When I asked her about social media, she said it’s a place to be a positive light to others. I really loved that. Her swimsuits are so cute, and this summer Emy and I are going to match together in our suits!! !